Meet the Mitacs Awards winners! 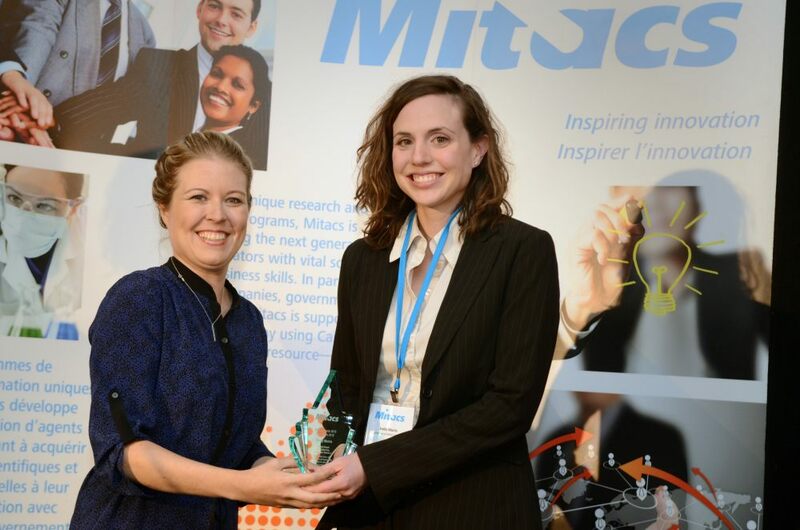 Who are Canada’s up-and-coming researchers and what did they do to win a Mitacs award? Read about our next generation of innovators and their research achievements in our latest Mitacs blog post. The 3rd annual Mitacs Awards reception was held in Ottawa on November 19 to recognize outstanding research and innovation in Canada. The Hon. 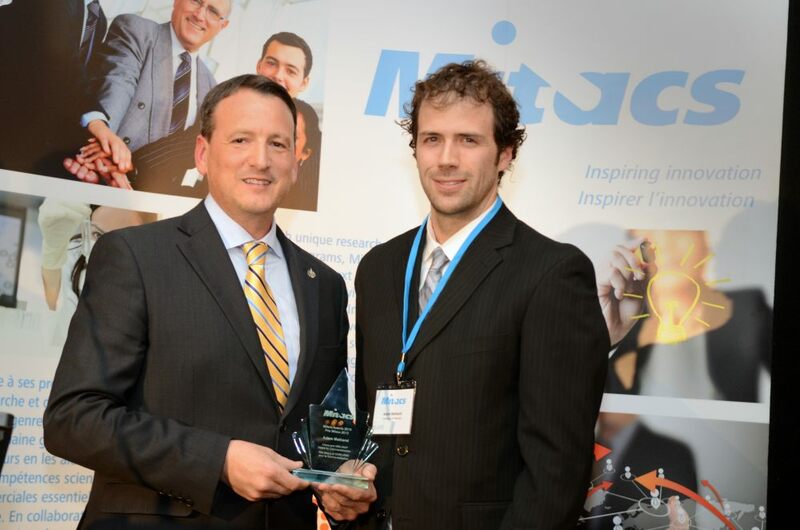 Greg Rickford, Minister of State for Science and Technology, and Federal Economic Development Initiative for Northern Ontario presented Adam Metherel from the University of Waterloo the Mitacs & NRC-IRAP Award for Commercialization. With Certo Labs Inc., Adam developed a kit to accurately measure the fatty acids and cholesterol in foods through one simple step. Such tests are required for food labelling regulations. The Mitacs Undergraduate Award for Outstanding Innovation went to Liang Feng, presented by the Hon. Ed Fast, Minister of International Trade. Liang was hosted by the University of Ottawa during the summer of 2013 through Mitacs Globalink, and his research will aid significantly in the development of efficient and affordable solar cells. Liang accepted the award via video. Hon. 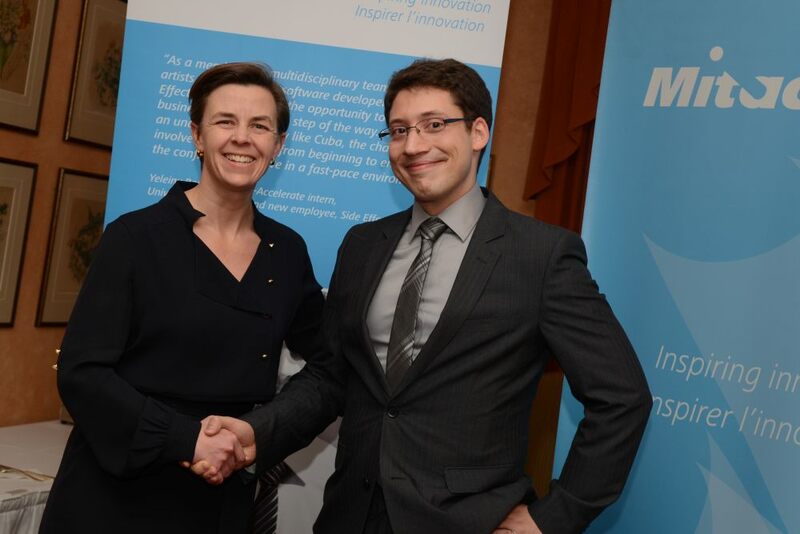 Kellie Leitch, Minister of Labour and Minister of Status of Women presented the Mitacs PhD Award for Outstanding Innovation to Andre Bezanson from Dalhousie University for his research project with Daxsonics Ultrasound. Andre helped develop a miniature, low-cost, high-resolution ultrasound probe that is helping to advance important clinical research. 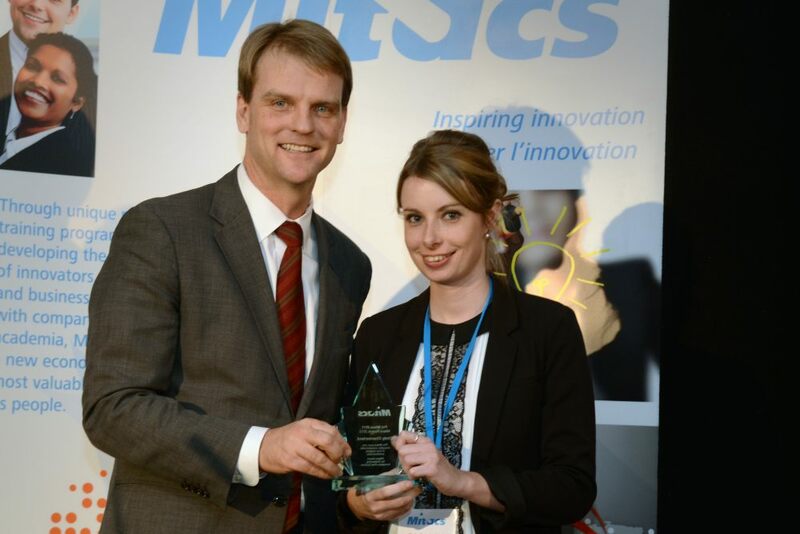 Finally, the Mitacs Post-Doctoral Award for Outstanding Innovation was awarded to Cindy Chamberland from Université Laval by Minister of International Trade, Hon. Chris Alexander. Cindy’s research has helped video game company Ubisoft better understand player behavior, and will enable developers to improve gamer engagement and the overall gaming experience.